Over 40 MIG member companies will be featured at Sensors Expo! From June 4-6, 2013, much of the MEMS supply chain will convene in Rosemont/Chicago for the 2013 Sensors Expo & Conference, the premier industry event in North America for designing sensors and sensor-integrated systems. From the MIG-organized pre-conference symposium and MIG member happy hour (sponsored by Bosch and Akustica) on June 4, to the MEMS conference sessions, MEMS Lounge (sponsored by EV Group) and MEMS Pavilion on June 5-6, MEMS Industry Group (MIG) members will be everywhere. Hillcrest Labs – Presenting on June 5 during the MEMS Conference Session. For complete details, please visit the Sensors Expo web site at www.sensorsexpo.com. Make sure that you stop and say hello to the MIG team in booth 309 and pick up your MEMS stickers! We look forward to seeing you there! New product development is an extremely rewarding area of engineering and business. It often brings innovation to unmet needs that can improve quality of life and be extremely profitable for entrepreneurs and large corporations alike. With MEMS technology exploding with new business opportunities, this blog will discuss the critical factors needed for success in the early stage of new product development. New product development starts with an idea. A product to enable the blind to see is very appealing to consider. However, without a viable business and technical plan to show the path to commercialization, the idea is not worth very much and its impossible to influence investors or managers to support it. Hence the first step is to identify an application and a lead customer that a business plan can be developed around. Equally important are a favorable competitive landscape, no or limited patents surrounding the area of interest and a large impact to society. Applications that are driven by legislation or regulations are excellent because they have a high likelihood of fruition with definitive timelines. Legislation in automotive resulted in the development of MEMS based occupant weight sensors that provided feedback in systems used to deploy air bags with different force levels or not at all to better protect passengers in the event of an accident. Even better are applications that give consumers what they want. The Argus II Retinal Prosthesis System is a device that partially restores sight for specific blindness. This device provides electrical stimulation of the retina to elicit visual patterns of light that can be interpreted by the brain. Hence users can recognize doorways and windows and gain greater independence; a highly desired quality with significant impact. Over 1 million people in the US may benefit from this device and the lead customers are people with profound retinitis pigmentosa. The Argus II will be the first device to hit the market and hence the competitive landscape is extremely favorable. Second Sight also benefits from large barriers to enter this market due to the rigorous FDA approval process. However, competition is on their heels. Nano Retina is developing another device that is smaller, fits uniquely in the eye alone and promises to provide greater number of pixels enabling recognition of humans. Second Sight is also developing the next generation device to be smaller, places the video camera in the eye and provides improved vision with greater number of electrodes. Timing is another important aspect of new product development. There are limited windows in which a product can be developed and launched. When products are developed without an underlying customer demand, they rarely make it passed the R&D phase into commercialization. Often times technologies are developed in universities 15 – 30 years before they become mainstream commercialized products. Conversely, if the product comes to market too late, OEM’s have already picked development partners and are reluctant to change suppliers. The application space may also be saturated with competitors making it difficult to win market share. Depending on the industry, these windows vary in size considerably. A typical cycle in automotive can range from 2 – 5 years. Consumer electronics can be as little as 6 months and class III biomedical applications can see cycles greater than 10 years. Hence it is important to fully understand market opportunities and have a detailed schedule to demonstrate the product can be launched within this defined window. Equally important, some core technology elements of the design must be developed to a functional point with limited areas needing major development or it will be challenging to meet the defined schedule. For the occupant weight sensor, there was a limited time to engage with OEM’s and show proof of concept before production suppliers were chosen after the legislation came into law. The sense element and conditioning electronics were proven in another automotive sensor and the packaging was a major development piece. The required compliance with government legislation dictated the schedule for aggressive product development, validation, launch and ramp cycle. An often mismanaged portion of new product development is the team behind the innovation. A team with robust chemistry, passion and a single leader are key to success. Multiple team leaders and poor chemistry only leads to infighting and redundant efforts. It is also important to limit team size to a critical few to expedite decision making and keep focused on what’s important. Larger teams tend to get distracted with items outside of the core focus and can miss critical details and deadlines causing product failure. Self assembled teams starting at the grass roots level more times than not have excellent chemistry. They begin with an idea generated by 1 – 2 people and an additional 1 – 3 trusted colleagues are brought in as support roles to help manage the work load that often occurs after hours. This natural selection process brings people with similar passions together and weeds out less motivated people as they do not want the added work load. An extremely important attribute of successful teams is to keep a low profile and minimize negative influences from external sources. At a project’s beginning, it seems the vast majority of people are against it or have an opinion on why the project will not be successful. In reality, it is a fear of risk and the unknown. Hence those teams who understand this and maintain a high risk tolerance yet work to minimize it, have a definite advantage. Once early project successes are achieved, there will be plenty of time to tell others about the latest innovation. Having an advocate at the vice president level in this early stage is also extremely helpful because it can channel much needed funds to the project and keep middle managers without similar vision from halting activity. Speaking the language of investors and business leaders is critical to get the financial backing to make the development happen and commercialization a reality. Hence the product’s business plan must show that target profits can be achieved with a reasonable payback time of investment dollars. It is recommended that the plan include low, medium and high production volume estimations, product costs, product selling price and gross revenues. Operational costs, taxes, equipment depreciation, travel, engineering, marketing and overhead costs all need to be captured as accurately as possible. Concluding the analysis with return on investment, net present value and initial rate of return provide a good financial overview for the project. New product development is an exciting area with many opportunities in MEMS applications. Identification of your lead customer and application, knowing the competitive and patent landscape, creating high impact products, being sensitive to timing, having small, focused teams, and developing a robust business plan can make a large difference in the success of product commercialization. Please stay tuned for future articles that explore additional aspects to achieve success in new product development. 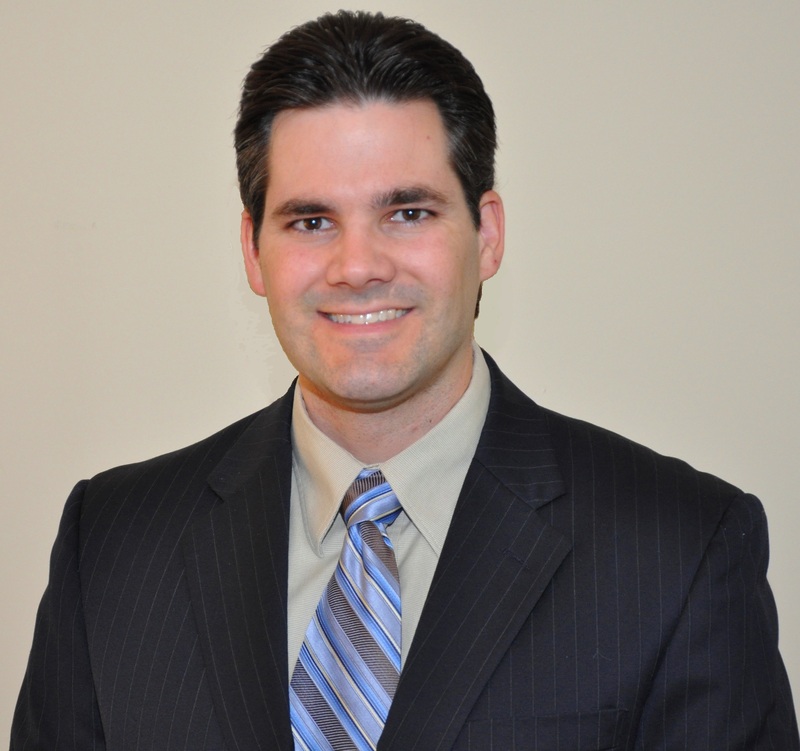 David DiPaola is Managing Director for DiPaola Consulting a company focused on engineering and management solutions for electromechanical systems, sensors and MEMS products. A 17 year veteran of the field, he has brought many products from concept to production in high volume with outstanding quality. His work in design and process development spans multiple industries including automotive, medical, industrial and consumer electronics. He employs a problem solving based approach working side by side with customers from startups to multi-billion dollar companies. David also serves as Senior Technical Staff to The Richard Desich SMART Commercialization Center for Microsystems, is an authorized external researcher at The Center for Nanoscale Science and Technology at NIST and is a Senior Member of IEEE. Previously he has held engineering management and technical staff positions at Texas Instruments and Sensata Technologies, authored numerous technical papers, is a respected lecturer and holds 5 patents. To learn more, please visit http://www.dceams.com. It is my pleasure to present the conclusion of the Guest blog trilogy on the MEMS Evolution Revolution, written by my colleague, and long-time MEMS industry insider, Howard Wisniowski. So far in this series, Howard has taken us with him to “visit” member companies Qualtré and WiSpry, taught us about bulk acoustic wave (BAW) solid state MEMS gyroscopes, radio frequency (RF) MEMS, and an innovative application called “Tunable Antennae”. In part three, we will be introduced to one of the many new MEMS-based technologies coming to the forefront, MEMS timing devices. We will also take a look at Sand 9, another start up and MIG member that has developed a truly disruptive timing device. I am pleased to bring you the second part of a three part series on the MEMS Evolution Revolution, written by my colleague, and long-time MEMS industry insider, Howard Wisniowski. So far in this series, Howard has taken us with him to “visit” member company Qualtré, and taught us about bulk acoustic wave (BAW) solid state MEMS gyroscopes. In part 2, we will begin to learn about radio frequency (RF) MEMS, an innovative application called “Tunable Antennae”, and a start up who is pioneering the advances of this new technology. I hope you are as excited as I am to read this series and I welcome you share your stories of other MEMS start ups that are breaking out in their own markets, whether it be in agriculture or acoustics; healthcare or helicopters. MEMS truly is everywhere and it’s likely the innovative smaller companies who will spread it further, faster and for longer. Viva la Revolution! At WiSpry, a start up in Irvine, CA and another MIG member, they are pioneering advances in the field of tunable RF technology and addressing the emerging needs of modern smartphones. Today’s smartphones have a number of radios to deal with — GSM, 3G, CDMA, W-CDMA, LTE, Bluetooth, WiFi, and even FM and TV radios in some cases. Each one has its own silicon circuitry and usually its own antenna too. Additionally, there are now a burgeoning number of frequency bands needing to be supported for 4G LTE cellular – ranging today from 700 Mhz to around 3700 Mhz. What’s more, the 3GPP standards are now allowing more than 43 different frequencies and there is an emerging demand for “Carrier Aggregation” in LTE – Advanced, the newest set of standards, which will have simultaneous “aggregation” of multiple frequencies on a single phone, allowing huge bandwidth improvements. WiSpry’s RF MEMS-based antenna tuner technology will play pivotal roles in these advancements by potentially enabling devices with just a single antenna and transceiver. By reducing the number of necessary components in a handset while allowing the radio front-end to be programmed to work in any frequency band and with any radio standard using the same set of hardware, a “World-Phone” architecture is possible and truly disruptive. Finally thanks to MEMS, the antennae on mobile devices will actually function more efficiently as they were initially intended – to carry and convey data and yes, even your phone calls. What is Healthcare without MEMS? I might have a problem. My heart rate is 150 BPM, which means I might be suffering from tachycardia according to WebMD. Or maybe I’m just exercising and am well within my heart rate range. Without the context, that 150 BPM number is absolutely worthless. To understand what the number really means, a doctor is going to have to rely on the information I tell her. And let’s be honest; I’m a liar. We all are when it comes to our physical fitness. We all omit that chocolate cake we had for breakfast while exaggerating that nightly run around the block into a full mile. It’s called the Hawthorne effect, and it means we’re generally useless when it comes to providing context for any of our biological metrics. That’s where MEMS comes in. In general, MEMS sensors track motion within a 3D space. 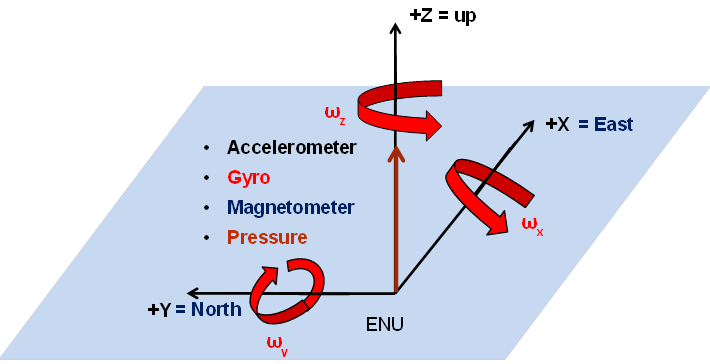 The figure below shows a 10-axis frame of reference, which means that by using four different MEMS devices (Accelerometer, Gyroscope, Magnetometer, and a Pressure Sensor), this device could potentially track motion along the XYZ axis along with the up and down pressure sensor. This ability to track motion is revolutionizing our healthcare. We don’t even need to add all these sensors, though each one does provide an extra layer of context. By combining something as simple as an accelerometer (the average cost for a MEMS sensor is between $1 – $2) with a heart rate monitor, we automatically know the context for someone’s heart rate and can determine if that 150 BPM mentioned earlier is spiking when we’re sleeping or if we’re in the middle of a five-mile run. In order to make a system like this work, we are also going to need a low power MCU to aggregate the data the sensors are collecting. Right now the most popular part is a 16bit MCU that costs about $0.60. Manufacturers are liking this part because of its low cost and low power consumption, while having just enough memory to not be overkill. These wearable appcessories are then going to send this aggregated data to a tablet or smart phone, where a more complex sensor fusion could take place. TI has a popular low cost Bluetooth chip (CC2540) that is under $2, so all together, this is a very low cost system that aggregates a ton of personal data and transmits it to a dashboard for our consumption (smartphone or tablet). Texas Instruments is one of the vendors behind these types of systems. They have relationships with several MEMS vendors in order to off their SensorTag development kit and reference design for Bluetooth low energy sensor applications. 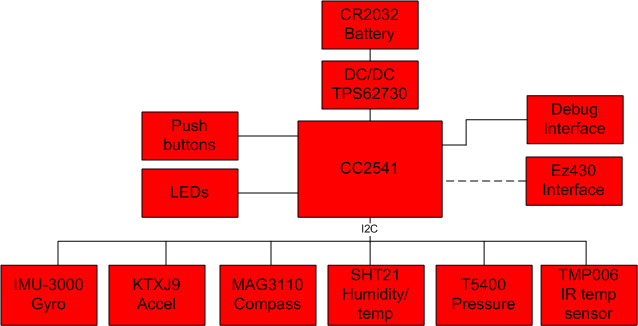 The figure below uses TI’s CC2541, a 2.4GHz Bluetooth low-energy SoC combined with the Sensirion SHT21 humidity sensor, InvenSense’s IMU3000 Gyroscope, the Kionix KTXJ9 accelerometer, Freescale’s MAG3110 magnetometer, and the Epcos TS400 barometric pressure sensor. A product like this would take in the aggregated data from a healthcare appcessory and create a context-rich dashboard for the consumer or doctor. This is how easily MEMS is changing people’s lives for the better. On a larger scale, MEMS has the potential to change entire societies. Through fitness and health apps, the industry can aggregate everyone’s personal health stats and translate those into actionable items for communities. Imagine a community where everyone is wearing a Fitbit and the entire town knows who has the best walking rates. What if neighborhoods had their own fitness competitions? Towns can take these stats and compare them with national rates of obesity or illness and decide to take more relevant action like creating more walking and biking paths. In this manner local communities could choose to divert funds to the areas where the data tells them they are falling behind the curve. When we talk about Big Data, this is what we’re talking about, and none of it is possible without the context MEMS provides. To find out just how large this market is going to be, read Semico’s recently completed Mobile Healthcare Study (hint: over 270 million units by 2017). A few weeks ago, my coworkers and I had the pleasure of participating in an awards ceremony in which Electronic Products Magazine presented Freescale with a Product of the Year award for our Xtrinsic eCompass software. This software processes the outputs of two sensors (an accelerometer and a magnetometer) to implement a tilt-compensated electronic compass. The software is available in source code format supported by an easy-to-use click through license. We were at revision 2.0 of that library when Electronic Products announced the award. Since then, revision 3.0 has been uploaded to our web site. To download, click on the ECOMPASS_SW link on the Xtrinsic eCompass software page, read and approve the license agreement that pops up (you can freely use this software in products which include Freescale magnetometers and accelerometers), and save the offered .zip file onto your hard drive. The software itself has been expanded and improved. The code compiles into 10KB of ARM Thumb2 object code and uses less than 4KB of RAM. A dedicated floating point unit (FPU) is not required and the software can run on typical 32 bit integer processors with software floating point emulation. Orientation is provided in Euler angle (roll, pitch, yaw and compass heading), rotation matrix and quaternion formats. Three levels of hard and soft iron magnetic calibration are provided at increasing levels of performance and computational complexity. The simplest 4 element calibration solver computes the hard iron correction vector and geomagnetic field strength and removes the largest component of the magnetic interference caused by ferromagnetic components on the circuit board. It consumes 3300 floating point operations per call. The seven element calibration solver corrects for differing magnetic permeability along the three Cartesian axes and is suitable for the more complex calibration environments found in the dense circuit board layouts of smartphones and tablets. It consumes 20,000 floating point operations per call. The 10 element calibration solver computes a best-fit solution to the 10 dimensional magnetic optimization problem including off-diagonal elements of the soft iron matrix. It consumes 62,000 floating point operations per call. The web-release includes source for options 1 and 2 above. Option 3, the highest performing 10 element calibration solver, is not available in source form, but is available under license in object code format for ARM Thumb2 processors. If you have used previous generations of our e-compass software, you will see major improvements in the feature set above. I like the fact that it now supports any of three different orientation representations right out of the box. The math behind an electronic compass isn’t easy, but Mark has done an excellent job of breaking it down into manageable chunks that are easily digested. So please, download the new release, give it a go and let us have your feedback. References are available on the original blog post.